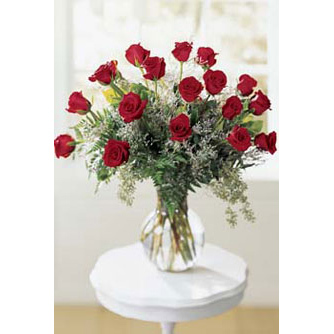 SW-119 This casket spray combines fresh flowers, foliages, and textures in a unique design of red roses, red carnations, and stargazer lilies. Red twig dogwood branches add a woodsy touch. 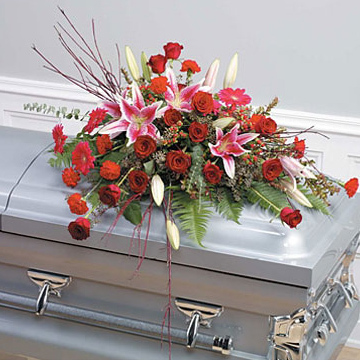 This casket spray combines fresh flowers, foliages, and textures in a unique design of red roses, red carnations, and stargazer lilies. Red twig dogwood branches add a woodsy touch.